EXCOR® Pediatric is a paracorporeal, pulsatile ventricular assist device, also called VAD for short. Paracorporeal means that the blood pumps are located outside the body and are connected with the heart and blood vessels via cannulae. The system can be used for the mechanical support of one ventricle (left-sided / LVAD or right-sided / RVAD) or of both ventricles (both sides / BVAD). Berlin Heart has especially developed the EXCOR® Pediatric VAD for use in children, small children, and even infants. 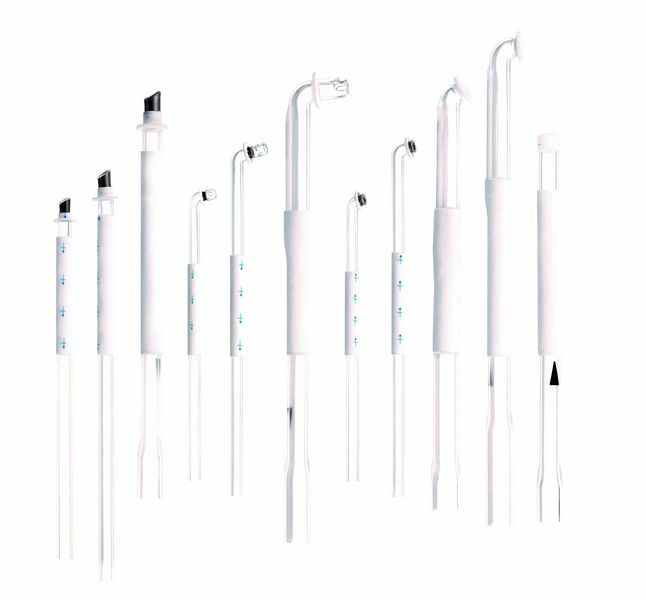 Thanks to the variety of blood pumps and cannulae, we can supply patients of different sizes in a more customized manner. The central element of the EXCOR® ventricular assist device is the blood pump. It consists of a blood chamber and an air chamber, which are separated by a triple-layer membrane. 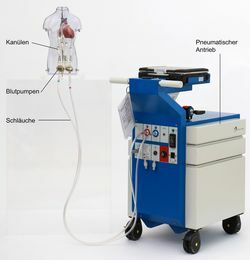 A pneumatic drive alternately pumps air, through a tube, into and out of the blood pump's air chamber. As a result, the membrane moves in a pulsating manner. This causes the blood to be pumped through cannulae out of the body, into the blood-carrying side of the pump, and back into the body. Similarly to the heart, the EXCOR® blood pumps possess valves. These ensure that the blood flows in only one direction. Here, the pump rate can be adjusted to the individual requirements of the patient. The EXCOR®is implanted using standardized surgical techniques and a cardiopulmonary bypass machine. 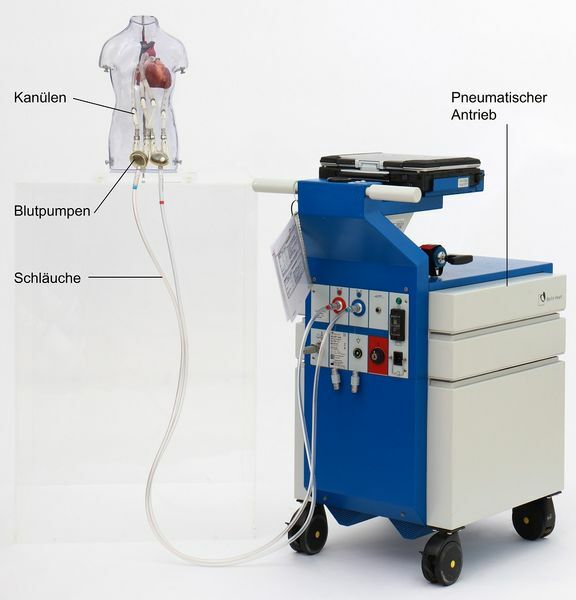 The CPB machine takes over the circulation and oxygenation of the blood while the EXCOR® cannulae are connected to the heart and blood vessels. After the cannulae have been tunneled through the skin, the surgeon connects the cannulae to the EXCOR® blood pumps. The VAD team adjusts the pump rate and the pump pressures via the Ikus stationary driving unit. This ensures an optimal blood pump function. At the same time, the child is gradually weaned from the CPB machine and the EXCOR® VAD takes over the total pump output. 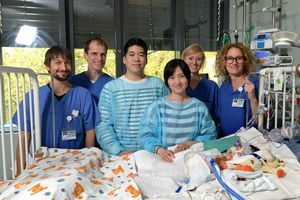 After implantation, the child is monitored in the intensive care unit. Experienced cardiologists care for the young patients and regularly conduct routine lab tests and ultrasound examinations. Depending on their initial condition, it may take a few weeks for the patient to recover. 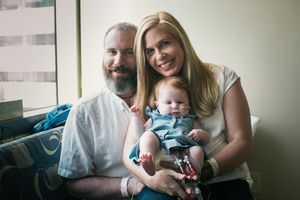 Doctors regularly check the transcutaneous exit sites of the cannulae, clean them, and place sterile wound dressings on them in order to support a fast healing process. The function of the ventricular assist device is continuously monitored. In order to prevent the formation of blood clots (deposits), the young patient takes anticoagulants (drugs that inhibit coagulation) from this point on. 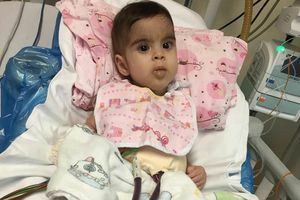 At the pediatric ward the parents of young patients can – depending on the individual circumstances – take on an active role and help care for their children, for example by changing the wound dressings. The transcutaneous (skin-penetrating) exit sites for the cannulae are regularly cleaned and dressed in sterile bandages to promote a rapid healing process. 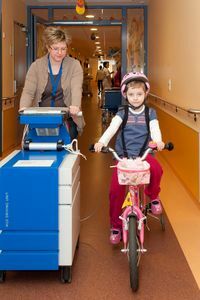 If the child is healthy enough, s/he can play in the playroom and even receive school instruction at the hospital. 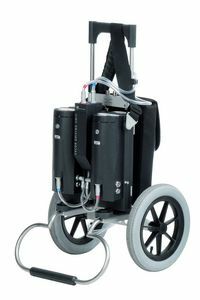 The VAD team and the nurses will train the patient's caregivers on the use of the EXCOR® system, monitoring of the pump, and the Ikus driving unit. You will thus be in a position to help your child move, as therapy permits, as freely as possible within the hospital and later on around the hospital grounds. 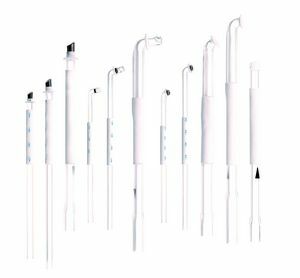 The EXCOR® system settings are selected so that it can supply the young patient with an adequate total pump output. In this manner, rehabilitation and physiotherapy can already start, in theory, prior to the heart transplantation. In order to accelerate the recovery process, movement is also important. This applies especially to babies and toddlers, who learn to crawl and walk in the hospital. 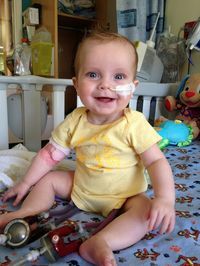 We place great value on our small patients being supported in their development, even during EXCOR® therapy. "We are so blessed that Elena's heart recovered."